FARMINGTON - Jean Ann Lambert, 79, passed away quietly in her sleep at Sandy River Nursing Facility in Farmington, on Nov. 3, after a long battle with Alzheimer’s Disease. She was the only child of Donald “Bucky” Everett and Della Field Everett. She graduated from Skowhegan Area High School in 1957, and married Clyde Lambert later that summer on July 21st. Together they raised five children. Jean worked at Norrwock Shoe and Dexter shoe until she fulfilled her dream of becoming a hair dresser. She returned to school and opened Jean’s Hair Fashions out of her home in Norridgewock in 1986, until Alzheimer’s Disease took this from her. She was stricken with Alzheimer’s in her 60s. This disease also robbed her of the joy she would’ve had interacting with her 16 grandchildren and 10 great grandchildren. 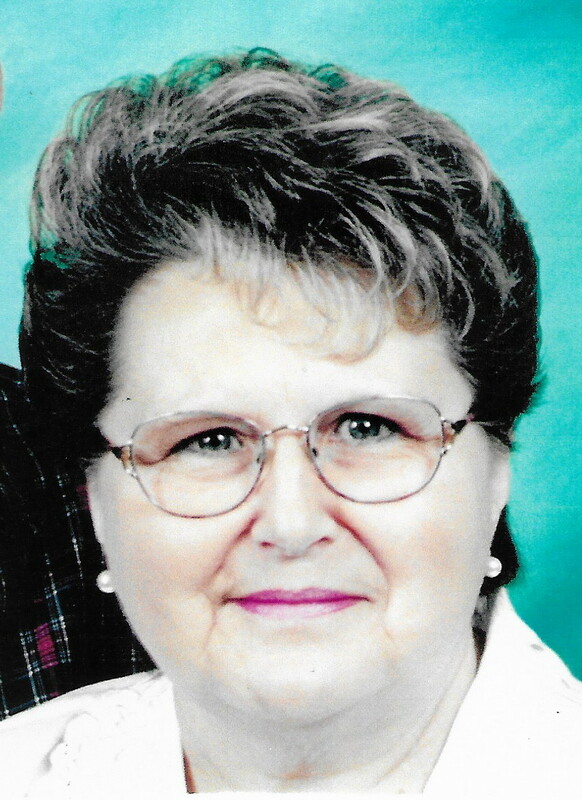 She enjoyed many snowmobile and motorcycle trips, and you could always find her in a rocking chair. She attended Crossroads Church in Madison. She is survived by her husband of 61 years, Clyde Lambert, who also resided with her at the nursing home and watched over her until she passed; daughter Debbie Sylvain of Fairfield, with her four children, Brooke Sylvain & fiancé Nick Mayhew, Billy Sylvain and wife Brandi, Krista Savage & husband Christian, and Devin Sylvain; son Jeffrey Lambert of Norridgewock and fiancé Janie Carmichael and children, Morgan Lambert, Dillon Lambert, and Randelle Hilton, step children Xaviere Scott and Brandon Butler; son Bruce Lambert of Norridgewock and wife Felicia, and his daughter Brittany, step children Zack and Sam; son Douglas Lambert and Wife MaryLynn of Norridgewock and their children Cody Lambert and Brandon Lambert, and daughter Alesia Keyes and her children Zackary Nelson and Lucas Nelson; and great grandchildren Bella, Barrett, Hayden, Grace, Pierce, Noah, Grace, Kalli, Rilee and Gracie. She is also survived by a very special friend, Cynthia Walker, who visited Jean at the nursing home every week for almost 10 years. She was predeceased by her mother, Della, who also passed on Nov. 3, 1968, 50 years ago, her father, Donald, a special cousin, Judy LeMay, and great grandson, baby Emmett Mayhew. The family wishes to thank the special caregivers at Sandy River Nursing Facility and Beacon Hospice with a special blessing to Shelly, Debbie and Lynne. Sadly, we’ve lost you twice, due to this horrible disease. We love and miss you so very much. A Celebration of Life will be held Sunday, Nov. 11, 2018 from 2 to 4 p.m. at the Pace Hall, 653 Waterville Road, Skowhegan, ME 04976. For those who wish, donations in Jean’s memory may be made to The Alzheimer’s Association online at www.alz.org or mail to 225 N. Michigan Ave., Fl. 17, Chicago, IL 60601.